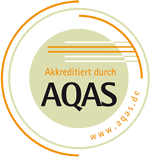 Since November 2011 the masters course Materials Science and Simulation is certified by AQAS e.V. (Agentur für Qualitätssicherung durch Akkreditierung von Studiengängen), following the recommendations of an international consultant board. The next evaluation will take place in 2016.